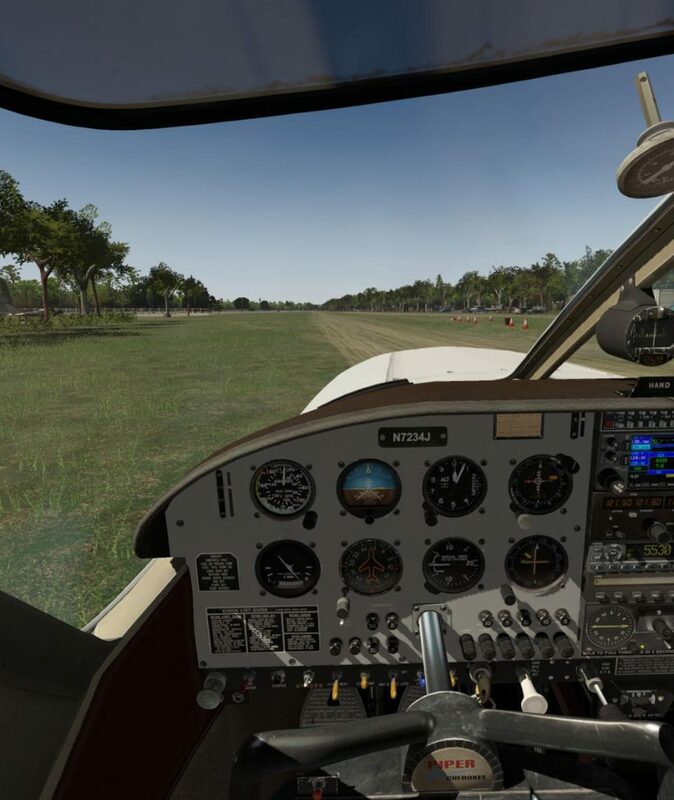 On a recent weekend splurge, I picked up some aircraft from VFlyteAir Simulations that appealed to my sense of aviation nostalgia – it was money will spent! Back in the mid-90s, I was moving from the realm of a private pilot into making aviation my career. I worked on the line pumping gas for a small FBO in North Myrtle Beach (Ramp 66) and at the end of each pay period, I would practically sign my paycheck, spin it back around on the counter, and deposit the funds into my flying account. During this time building phase to reach the 250 hour minimum requirement for the commercial pilot certificate, I spent nearly all of my time flying around the Carolinas in a Piper PA-28 Warrior. 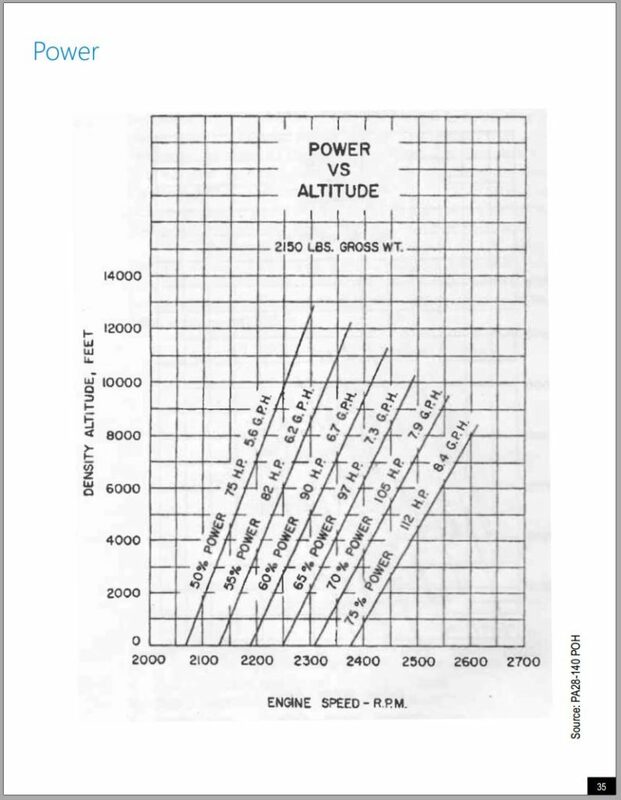 A 150hp Lycoming O-320 pulled it along and ancient radios included an ADF, a single VOR (no DME), a non-digital radio, and GPS wasn’t even an option at that point in time (LORAN-C would come along a couple of years later). I loved it. At 250 hours, I immediately obtained my commercial, CFI, and CFI-Instrument ratings within just a few months of each other. As a freshly minted flight instructor I was, figuratively, the blind leading the blind. Though I had a choice of instructing in both company owned Cessna 172s and Piper Warriors, I generally steered my students toward the Warriors. I love Cessnas, and have many thousands of hours in them, but there is a satisfaction to sitting atop a wing, with a bright, sunlit cockpit, and mounting your aircraft by climbing on top of the wing rather than ducking under it that just makes me enjoy flying low wing aircraft more. In the company Warriors (we had three), I spent about a thousand hours instructing primary students, developing their skills, trying to keep them from killing us, and then anxiously signing them off to take to the skies alone on their first solos. It was an extremely rewarding period of my life. So rewarding that even thought I no longer instruct, I continue to renew my flight instructor ratings every two years in case I end up returning to that trade later in my career. I feel that is a foregone conclusion. 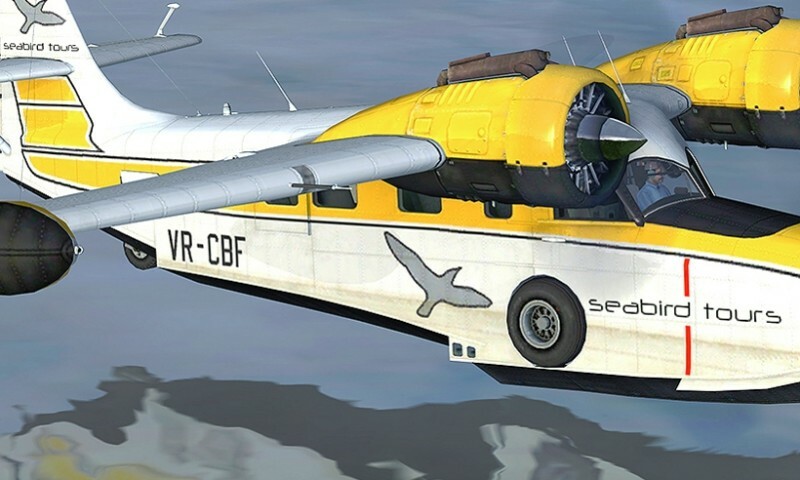 For more than several years, VFlyteAir has been developing add-on aircraft for X-Plane. 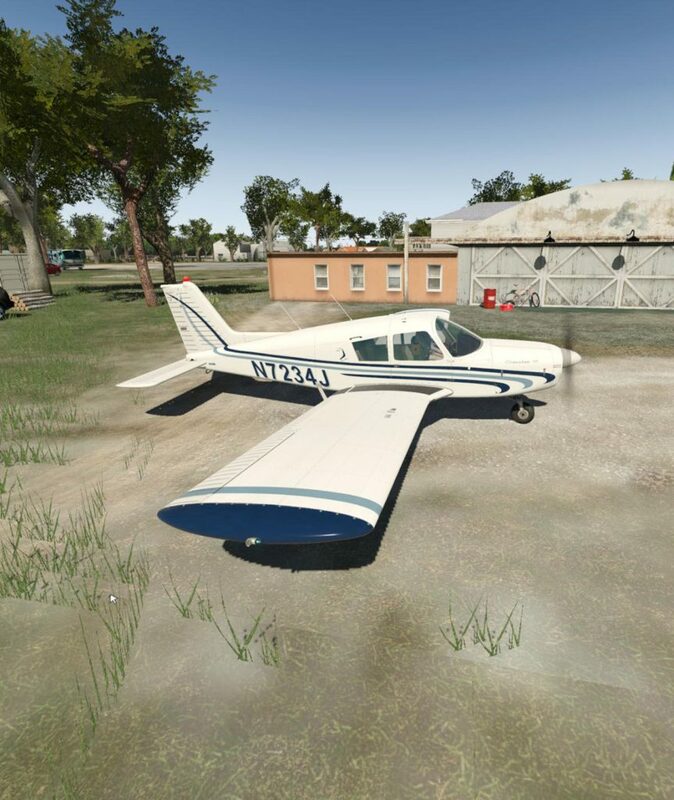 With a focus on light general aviation aircraft, they currently have a lineup that includes the Navion, PA-30 Twin Comanche, PA-28R Arrow III, various PA-28 Warriors, Grumman Tiger/Traveler, Cirrus SR20, and the Ikarus C42C. 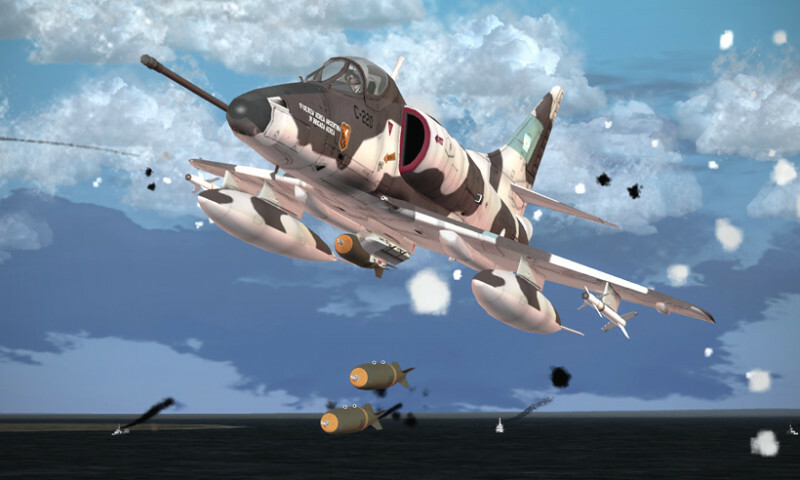 Some of the models are older X-Plane 10 versions, while most have been polished and updated to X-Plane 11, and some are native X-Plane 11 versions. 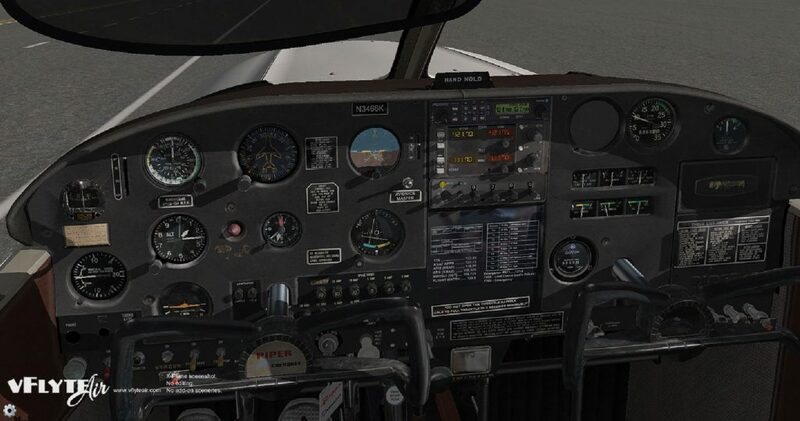 My interest (that itch where you constantly revisit the product page) was in the PA-28 Cherokee lineup which includes the PA-28-140 Original, PA-28-140 Classic, and the PA-28-140 Glass variants. Up until last weekend, I already owned the PA-28-Classic, which is an IFR upgraded variant of the Warrior that includes a G430 GPS, an S-Tec 55X autopilot, and dual NAV/COMs. 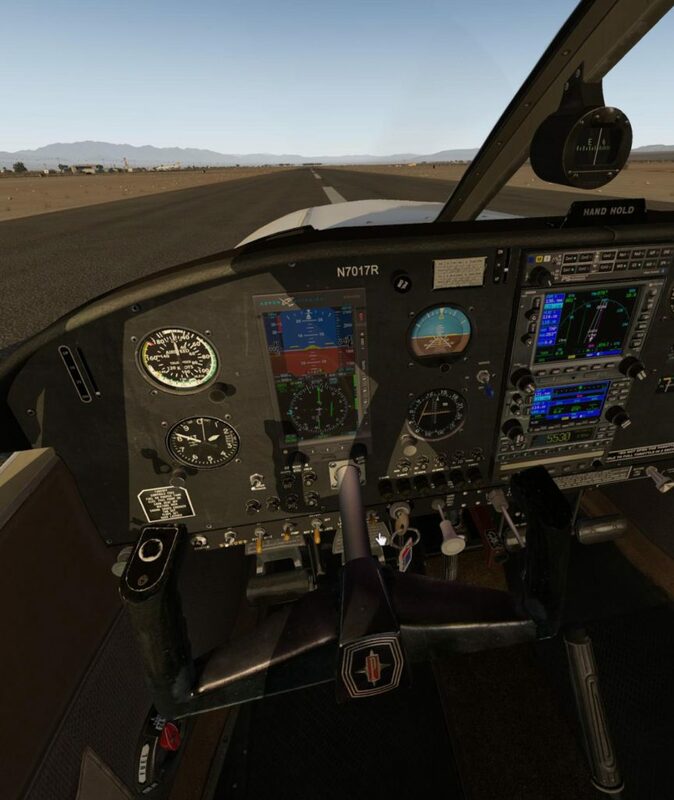 The fully featured, PA-28-140 Classic panel allows for full IFR operations. The variant that I’d been hovering over the BUY button on was the intriguing looking PA-28-140 Glass Panel created by Mario Donick. A significantly upgraded panel adds the Aspen E1000 Primary Flight Display, a GNS530/430 stack, as well as a more modern audio panel. 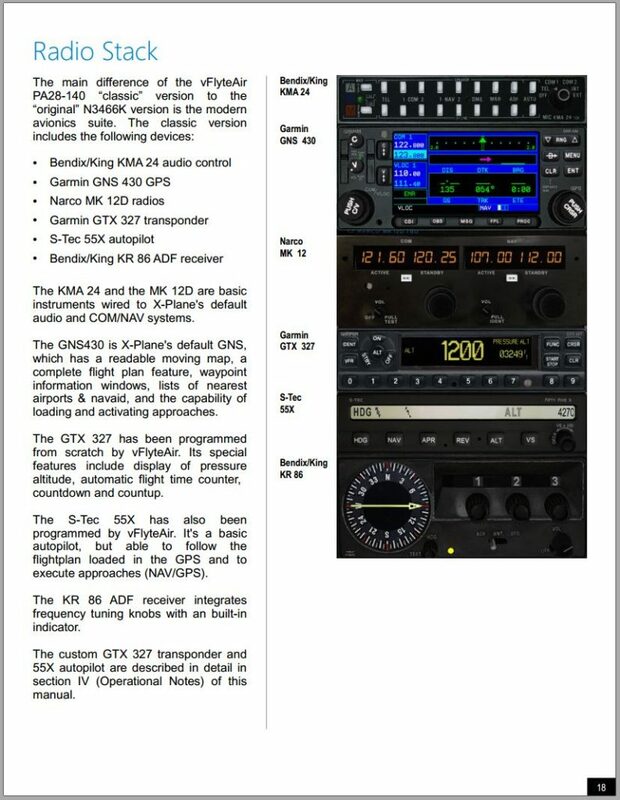 This extra panel hardware comes at the expense of a missing ADF receiver, but the LPV capable GPS pretty much makes NDB approaches unnecessary despite us aging flight instructors reveling in the confusion they sow. The third variant on offer is the PA-28-140 Original (which I do not own) that is a replica of the real world N3466K basic trainer model. Equipped for VFR day/night flight, the Original contains no GPS or autopilot, encouraging users to travel back in time to a more austere cockpit we used to use for primary flight training. In a perfect world, all three variants would be offered up in a single package at a discount, but for now they are sold individually. They occasionally go on sale together though, so keep an eye peeled and you can pick up these bargain aircraft at even lower prices. Even at full prices, ranging from $22.95 to $24.95, these aircraft are a great value for the money. As mentioned, the Classic variant includes a full IFR panel and autopilot, so this is an excellent instrument trainer. Retaining much of the original Warrior panel feel, the updated avionics give the old girl a new charm. With nifty features such as requiring pilots to remove the key from the dashboard (a great safety technique I always taught my students) and custom engine start modeling, the Classic brought me right back to my early aviation days. The -150 model I flew had a few differences, including a handle type throttle and a horn shaped yoke, but the feel is all Warrior. Those familiar with the Warriors remember the two-step door closing procedure that have caught many a pilot and flight instructor by surprise. Closing the door was accomplished by pulling the door firmly shut and then engaging a top latch to ensure the door was sealed. One of the first things I demonstrated to my students was that an open door or window in any aircraft was not an emergency, and since it is a frequent enough malfunction, I would demonstrate the door popping open on takeoff on a flight or two after their initial introduction flights. I would brief that I would do this since surprising primary students is sometimes not a great idea. Generally, the door will pop open about two inches or so, noise will increase, and you might get a swirl of air, but the plane flies just fine with it open. 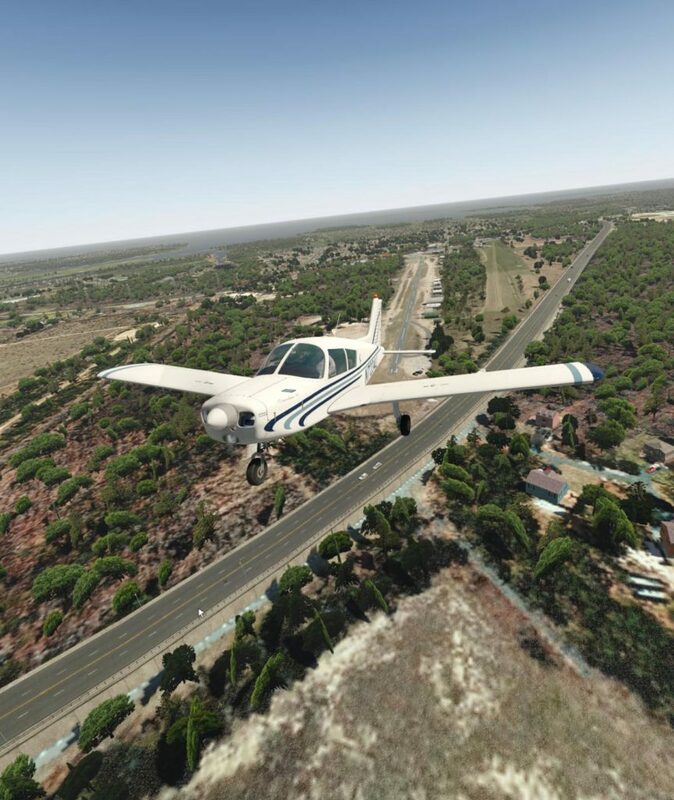 Accidents and incidents can happen due to the distraction or trying to “fix” the problem just after liftoff, so it is far better to just take the plane around the pattern normally, land, and taxi clear of the runway to properly latch the door. It is not an emergency. VFlyteAir did a great job with modeling the engine start, and if you need help, you can select on screen notifications from the options menu to give you a hint of what you might be doing wrong. Cracking the throttle, a cold engine, using the fuel pump, and priming are steps that will get you on your way. Once you are up and running, the engine has a nice, throaty pace to it that made my desk vibrate. Clicking on the headphone jacks will put cords into them, donning your headset and reducing the noise significantly. The panel mounted G430 has NAV1/COM1 inputs as well, with the secondary flip-flop digital radio being found further down in the stack. The G430 makes cross country flying a breeze, and coupling it to the S-Tec autopilot makes this IFR trainer positively decadent. Functioning circuit breakers will allow the sadistic flight instructor to fail the GPS or autopilot, so have a back up plan during your biennial flight review. Flight dynamics feel good. There are recommended control sensitivity levels in the documentation that should be applied to allow for correct pitch and roll response. The rudder authority felt a bit too sensitive to me at the recommended level, so I dumbed that down even further based on fuzzy, and possibly inaccurate memories that are well over two decades old now. When I recently spotted a VFlyteAir sale on my birthday, I knew it was time to give myself the gift of the Glass cockpit Warrior. 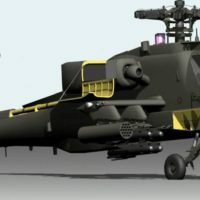 With a darker panel, horn style yokes, and a cleaner and more modern panel, the Glass Warrior would be a fantastic aircraft to own in real life. The Aspen E1000 PFD looks great in the panel, has a nice bit of functionality, and makes the old Warrior seem like a much more modern ride. The Glass variant shares many of the same features with the Classic version. Circuit breakers can be pulled, engine management is similar, and many options are selectable via an options menu. Cabin doors, chocks and plugs, the cabin door, graphics options, and adding a passenger can all be accomplished via the simple menu system. Configuration changes are not merely cosmetic either – adding a passenger causes the aircraft to level out a smidge and the weight is instantly added to the gross weight. Adding wheel pants reduces drag slightly, resulting in 2-3 knots of additional cruise speed. The level of detailing in the 3D model and textures is outstanding. Nicely detailed and formatted manuals for both the Glass and Classic models help you understand the aircraft without getting quite as detailed as a full operating manual. Specific simulation features are well covered and the supplemental performance charts are a welcomed addition that many add-on developers neglect. I also like the fact that the paint schemes include legacy markings that are more appropriate to the decades when these planes were first being fielded, as well as more modern repaints that reflect owners that have updated their aircraft on both the inside and outside. The Aspen E1000 PFD is very nice, combining a wealth of information into a single elongated display. The standard electronic ADI is precise and includes a flight director, airspeed, and altitude tapes. An altitude preselect window, V-speeds, OAT, wind, and altimeter window give a compact display of all flight data in one spot. The electronic HSI can be configured with a traditional compass layout or arc, and shows course, waypoint distance, autopilot heading, CDI and bearing pointer selections, as well as buttons for changing things like minimums and selecting other menus. The two knobs at the bottom of the display vary functions according to what you select – heading, altitude, barometer, minimums, course, etc. It takes a second or two to change modes, but one quickly catches on and it becomes second nature after a few tries. 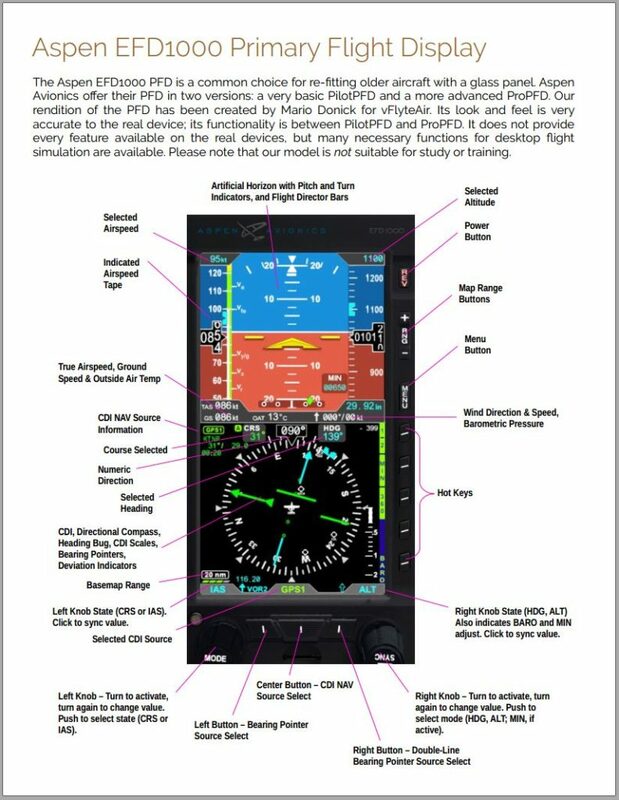 If it were my plane, I’d see about perhaps getting the flight director/autopilot control panel moved above the Aspen PFD since having it buried down under the central radio stack is slightly out of the eye line, but that is the logical place to put it. 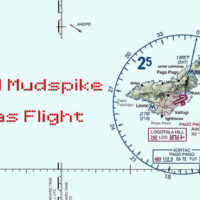 A standard airspeed indicator, backup attitude indicator, and altimeter can all be used in the event of a failure of the PFD. A small gripe is that the altitude digital display counts in single foot digits, which makes it look like it is moving too fast. I’d prefer 20 or 100′ increments instead of single foot increments. I took the opportunity to shoot ILS approaches, full RVAV approaches, and RNAV/LPV approaches and found the aircraft performance to be superb. Autopilot capturing and coupling worked great and even RNAV/LPV approaches with the psuedo-glideslope captured and tracked perfectly. The airplane is a joy to fly in instrument conditions. The yoke can be hidden to get at all of the panel controls. Despite the modern avionics, the plane retains old school switches and knobs that give it an interesting modern/classic mix. 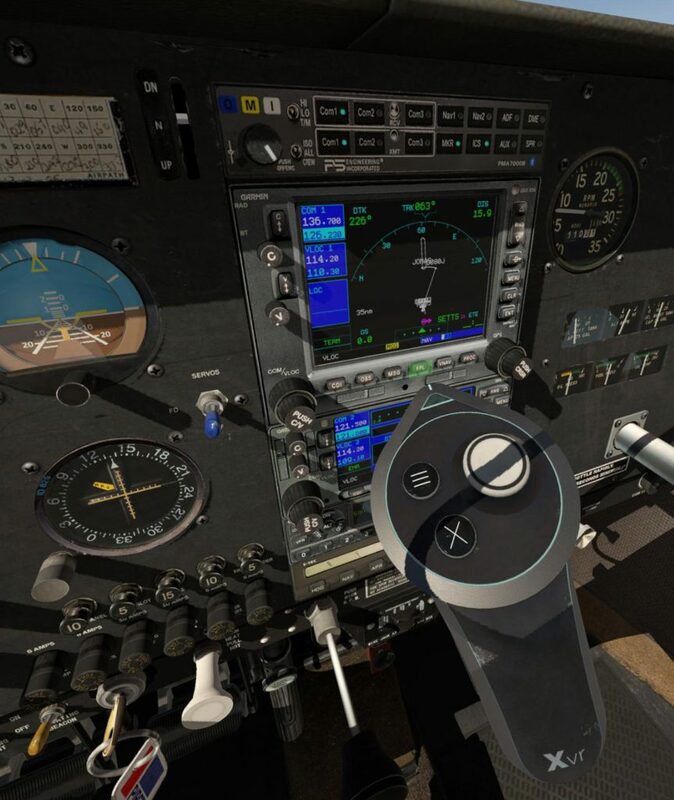 Both the GNS 530 and 430 can be popped up to 2D representations while the Aspen PFD can be popped up to a virtual 2D instrument that can be moved and placed in the virtual cockpit. Cockpit textures are superb, with nice wear marks and chipped paint and scuffs in the right places. The visors can be moved, and the pilot side vent window can be popped open resulting in an increase in engine noise. Night lighting is good enough with instrument and flood lighting that can be adjusted to suit your desires. None of the Warriors I flew in real life had very bright lighting, and that is reflected in this module with subdued lighting that is realistic and not eye-poppingly bright. The flight model feels pretty good. Within the 99th percentile of normal flight, all is near perfect. The near stall characteristics are a bit less docile and better performing than the actual aircraft I flew. For instance, with a power off stall in the real aircraft, if one is careful, you can actually bury the elevator fully aft and the aircraft will simply mush straight ahead with a few hundred feet per minute of descent rate with very little tendency to roll off on a wing. The VFlyteAir model is a bit more aggressive with the wing wanting to break, but I mostly attribute that to the inability to really feel the control feedback on the rudders. Likewise, at high pitch angles and full power, the X-Plane version tends to perform a bit better than the real aircraft, even allowing a good rate of climb when the aircraft should probably be breaking off on a wing. Personally, I’m fine with the behavior, and feel the stall warning and buffet is good enough to demonstrate that you have reached that end of the performance envelope. Both the Classic and Glass variants look fantastic in VR. As far as I can tell, everything is functional if not perfectly implemented. Manipulating the inner and outer knobs of the panel mounted GNS can be a bit finicky with regards to finding the proper depth of the Touch controller (I’m using an Oculus Rift + Touch), but I don’t spend a lot of time using the GNS or I tend to program it prior to takeoff. Controls can be manipulated via the point and click method with the Touch controller, a the mouse cursor, or by simply reaching out and manipulating the knobs or switches. I was very impressed with the sense of presence and was transported back twenty-five years in time to when I was flying the Warrior for many hours a day. 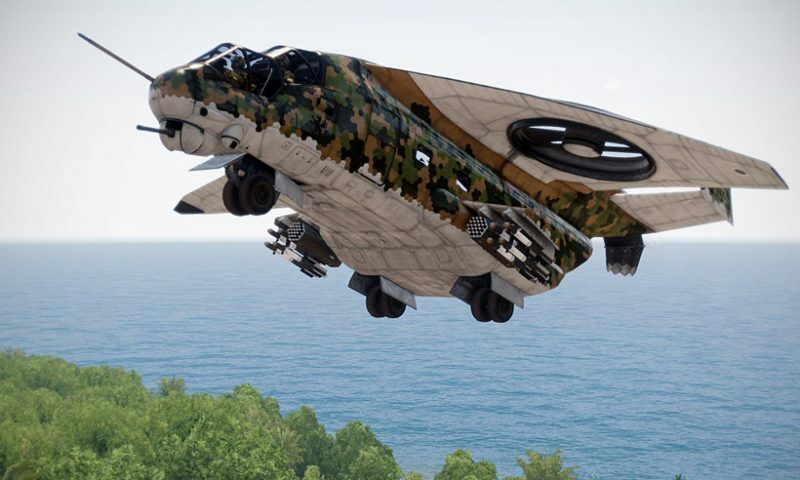 The VFlyteAir Simulations Warriors are a fantastic experience and value. They are nice packages that undergo frequent updates from the developer. Sometimes it is nice to be able to jump in a cold and dark cockpit and be up and running and ready to go conduct instrument approaches within minutes rather than spending a half an hour setting up cockpit systems and a complex FMC. 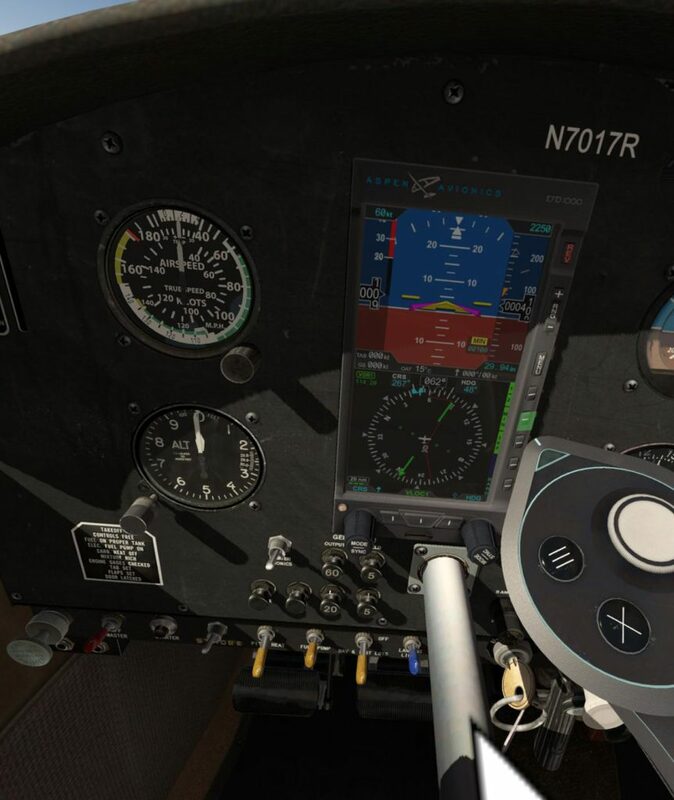 The inclusion of a glass cockpit, autopilot, and the GNS430 and 530 provide for advanced functionality, or you can reduce the experience to basic pattern work using just the primary instruments. It has been an enjoyable trip down memory lane for me. Flew brand new Archer III’s at flightschool, myself. My flightschool got a new fleet during my time there. We started out on a mixed fleet with some old, and some not so old, C-172’s, and then over on the PA-28. I agree with the above/below wing comment. Don’t know why this is, but I suspect a childhood of building plastic models of WWII fighters have something to do with it. I also felt that way about low-wings. And I think it was for the same reason. Low-wing Pipers looked marginally more like a P-51 than a Cessna which to my young mind made it better. It does bring back some memories. Nice one @BeachAV8R! Nice article! I’ve pretty much decided to buy at least one of these modules so it was nice to have the differences outlined.